That's me at the mo! I'm on a rather strict regime since Sunday. I didn't lose any weight on Monday and drastic action needed to be taken. I have lost all my Christmas weight - 7lbs to be precise. But this isn't good enough and I can't stand the thought of another summer squeezing into the same old clothes. My friend happened to mention buying some jeans in Topshop the other day - ahh those were the days. In fact, I still have a pair I wore 10 years ago festering in a drawer marked 'glory days' - that is I hope they're still there and haven't self destructed or just simply walked away having come to the realisation that they will never skim over my thighs ever again. Or will they? In fact, that's my next goal for the Top Shop jeans to make a re-appearance by the 3rd year anniversary of my blog. So, by Sunday I had a fair idea (given the nominal amount of exercise - even less than 10,000 steps a day and chestgate) that the scales would remain the same. Oh and by the way, my husband says I've started snoring - I think it has lessened a bit now after my cold has gone but still. The shame, oh the shame of it. Type snoring into google and guarantee it will say fat bastards snore. So the sun made an appearance on Sunday and that was it. I decided to put on my Zaggora wear (I don't get paid to mention them by the way, I only got the free bits to review) for maximum sweat affect and armed with my Ipod I bid a latersssssss to the kids and husband and exited the building. I needed to get out. So I walked purposely up the hilly estate which ends with a killer of a climb and back again. It felt pretty, pretty good afterwards. I have ridden up this hill on my bike before now - there is no let up and my chest always feels like its going to explode even when walking. 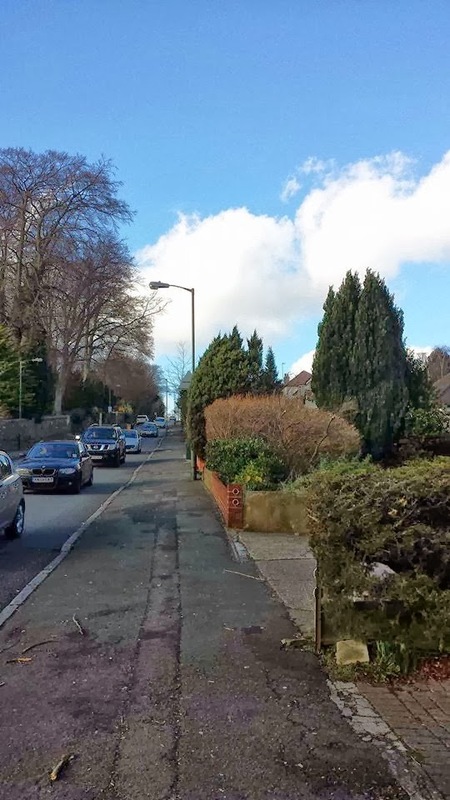 I've also walked up this hill whilst pushing a buggy with a heavy baby inside (my baby not just anyone's). It is unforgiving but you really do have a Rocky moment when you reach the top! I also came up with the soup idea. For two weeks, I'll have a tin of soup (400g and heinz) with a small piece of bread for my evening meal. I like soup. We had lots of soup in the 1970's and to be honest I'm also fed up with cooking meals that the kids turn their noses up most days of the week. For instance, one week I went into full on casserole mode. For Christmas, you may remember, I got that lovely casserole dish that you cook on the hob and then whack in the oven. My husband loved the dishes but the kids took one look and it was like pulling teeth trying to get them to eat it. I am pretty sure, as adults, they will never eat casseroles because mum made lots of them. Bit like I won't eat liver and bacon because my mum cooked the life out of the liver and whacked gravy on it - urgh. So, given that its half term, the husband is proper northern and thinks a culinary delight is a curry in a tin - soup it is. Its actually quite refreshing not to have to think about what am I cooking tonight and it does save on washing up. Only thing is I am very hungry!!! Embrace the hunger I've often said and I don't mind being hungry but today I've been a right old dragon it has to be said. A soup dragon. I'm sure this a temporary adjustment and after a week I'll be fine. I've worked out (using my fitness pal ) that I'm still eating about 1400 calories in total during the day. Which is what I should be eating to lose weight. Anyhow, its making it easy to focus and watch the calorie intake. So watch this space. 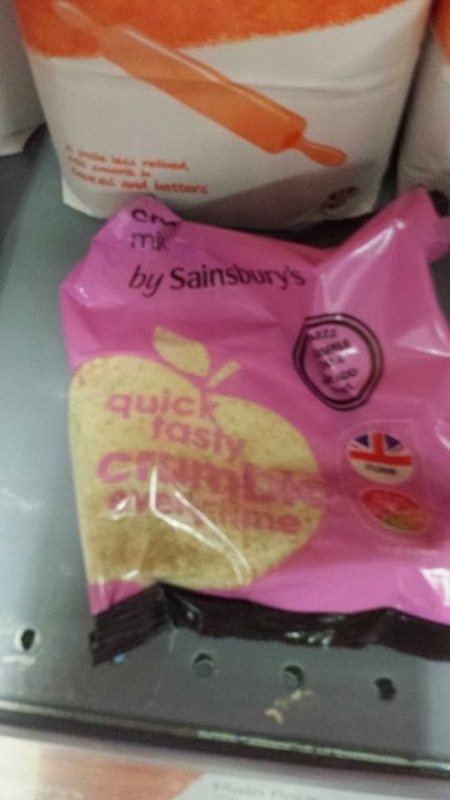 its a packet of....crumble!! I though blimey nan's and granny's the world over are turning in their graves aren't they?! Mind you I did see a dumpling mix and I've never been able to master the art of dumpling making so I may just have to re-visit this isle in the supermarket. Talking of shops - I've had to update my rant on charity shops (see it here). I happened to see a wicker basket (Fortnum and Mason no less) in their shop display. Yesterday, I phoned up and asked how much it was to which I was told it was not for sale - although it was no longer masquerading as a picnic table in the shop window display. What is wrong with charity shops?!! For goodness sake you're meant to sell the items members of the public donate to you - don't cherry pick the items and use them for your little displays. If someone wants to buy something sell it to them!! I popped in today and this hamper is HUGE and its just full of all their little tat - respect the Fortnum and Mason. Seriously, I would have happily given them £30 for this fine wicker basket. It breaks my heart!! You'll be pleased to know that I simply walked out the shop all sad like and did not create a wicker basket scene. 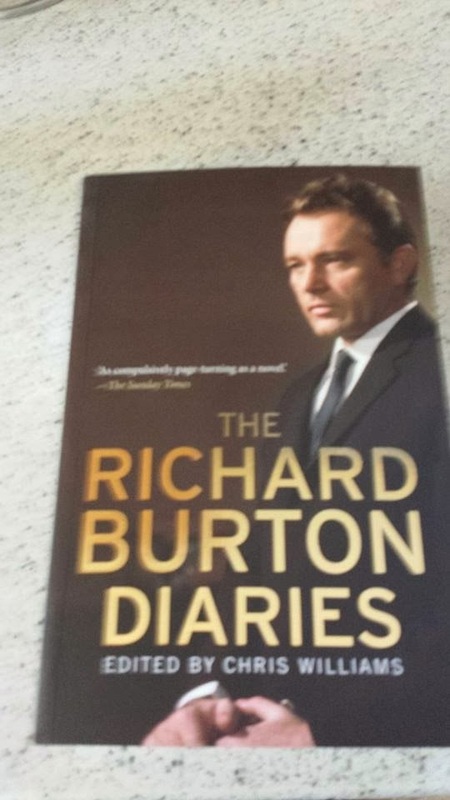 One purchase I have managed to make is the Richard Burton Diaries. 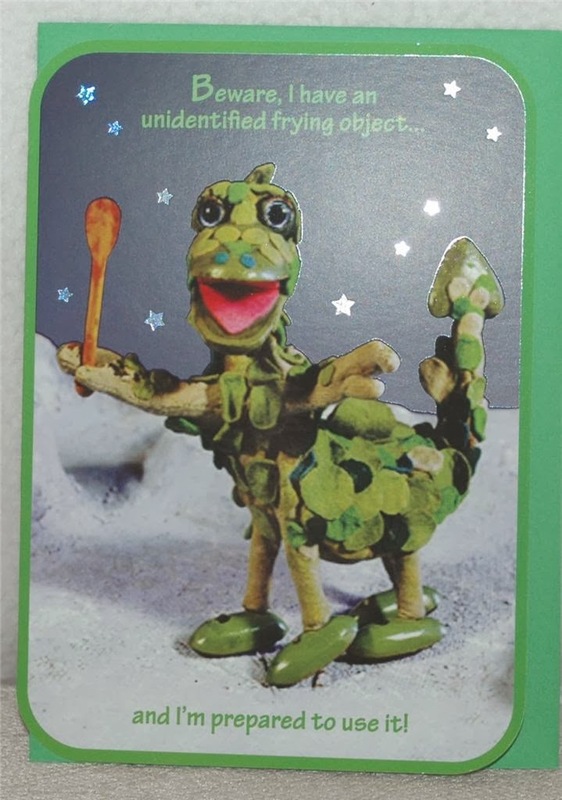 I wanted this for Christmas but it never materialised so I ordered it this week. I do love a biography so I do - I didn't realise he was one of 13 children and that his mother died when he was 2. She died after giving birth to her 13th child aged just 44. A fascinating read already. Finally, its half term which means we are off to see The Lego Movie tomorrow, friends are coming around Thursday, mental soft play on Friday and the small matter of making a Furby cake for my daughter's birthday and party on Sunday.